In addition to the dresses we sent to India, Mom sent along a donation for other supplies. 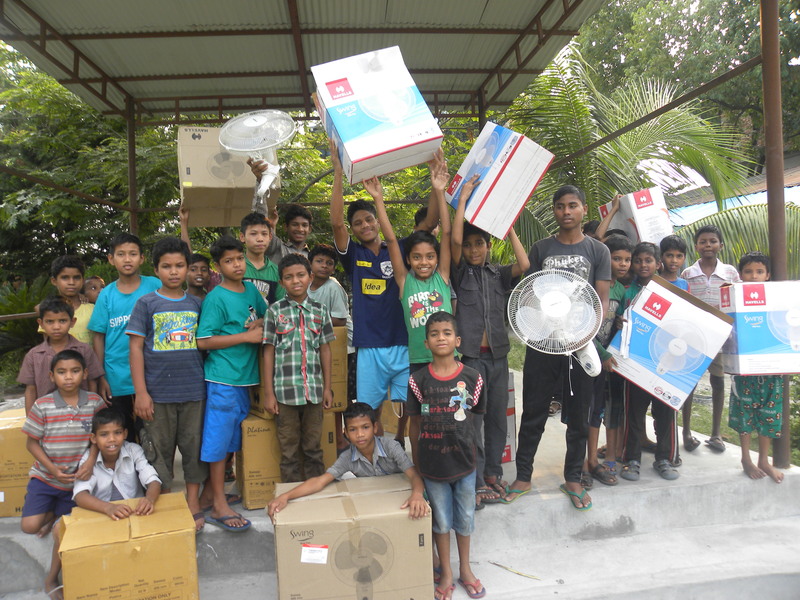 The money was used to purchase fans (we provided 2 of the fans in the photo) and other needed items for a boys home. We have an awesome opportunity to love kids all over the world, and it is so fun when we get photos!